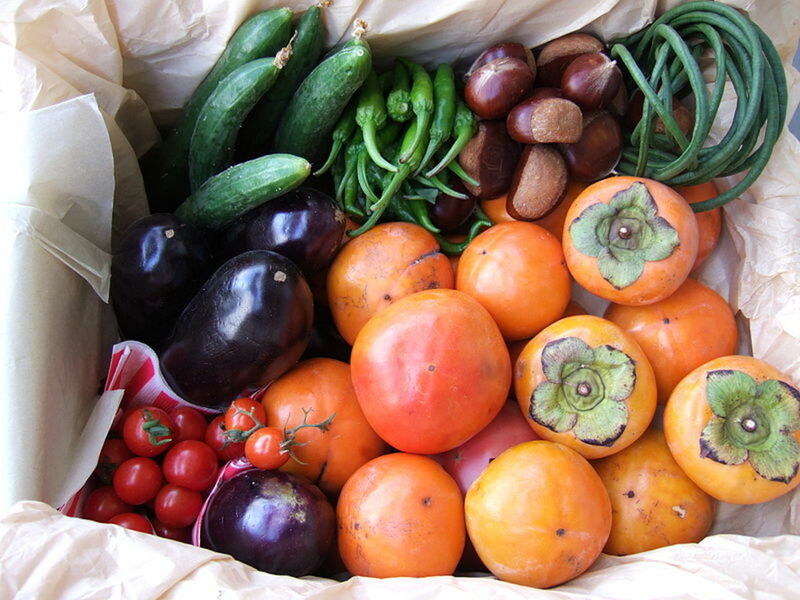 What are the world’s most common fruits? No prizes for guessing them right. What about the world’s weirdest fruits? Some are weird in appearance, while others are weird in taste, and the rest are weird in both. However, it depends on where you are. 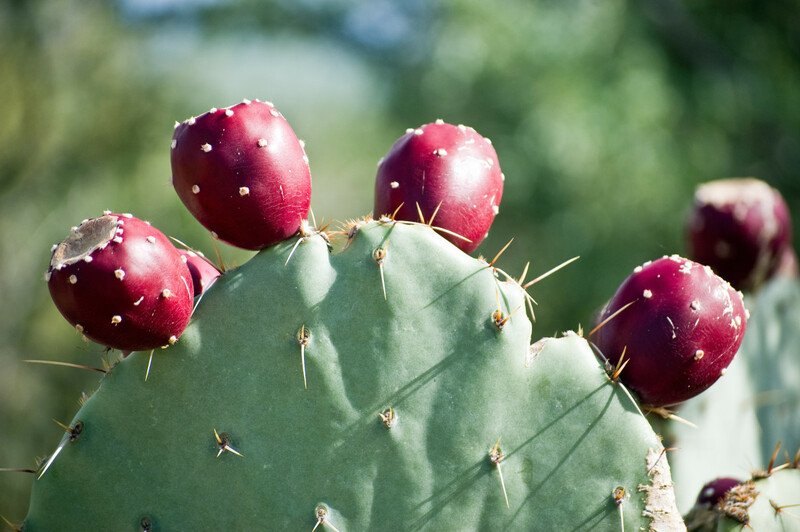 A weird fruit to a foreigner may be just a common fruit to the natives. Be that as it may, the fruits described here have certain features or tastes that qualify them to be regarded as weird fruits. Let’s see whether you agree. The fruit is shaped like a hand, with finger-like protrusions growing out from the base. The fruit and the light purplish flowers are both very fragrant, and are commonly used for religious offerings. 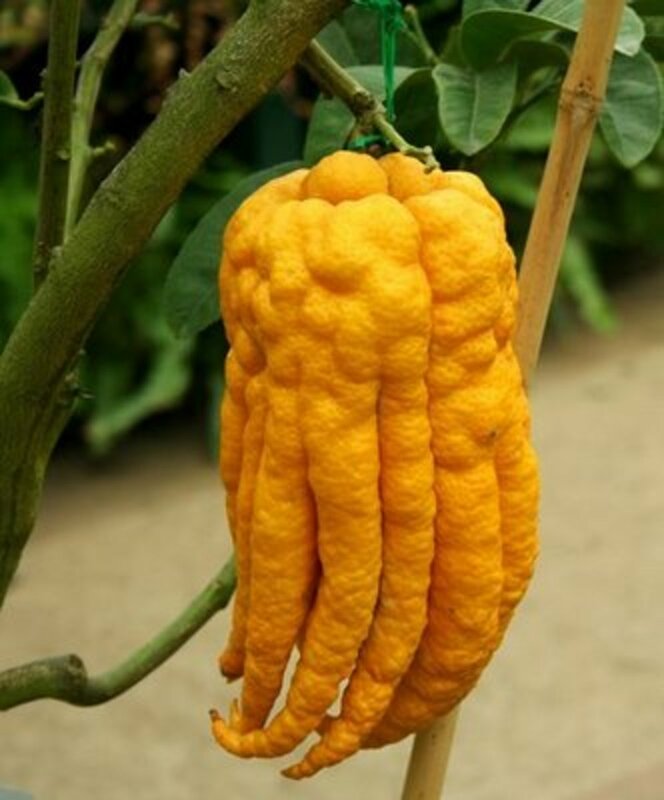 So the name “Buddha’s hand” is fitting and appropriate. However, I think a better name would be "Buddha's fingers" and in fact this name is also being used. 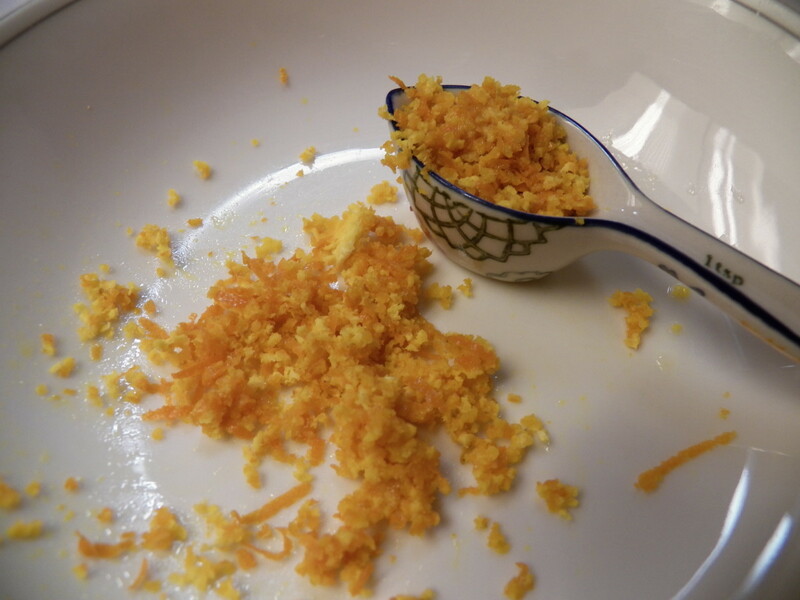 The scientific name is “citrus medica” and the Japanese called it “bushukan”. The fruit is popularly used for perfuming clothes and rooms by the Chinese and the Japanese. The fruit itself is not edible as there is hardly any flesh or juice. It is usually sliced into small pieces and eaten as part of salad, or preserved as candy. The scientific name is “synsepalum dulcificum”. Other names are “miracle berry” and “sweet berry”. 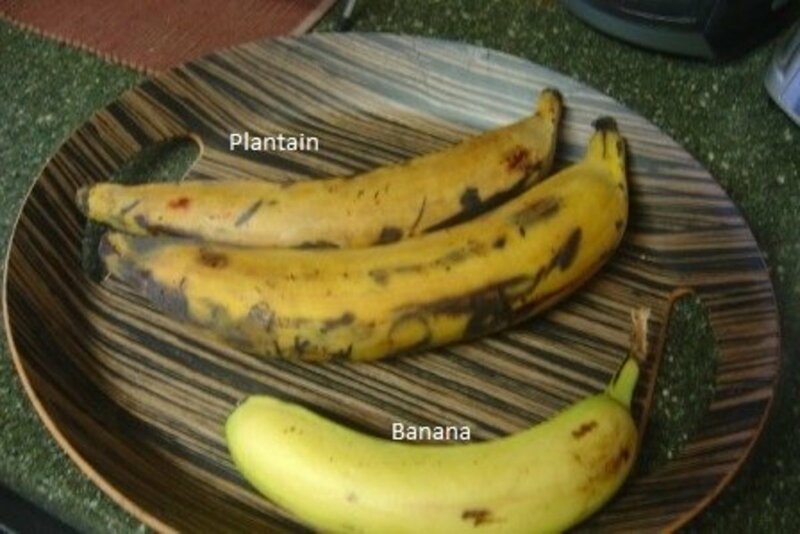 Its origin is from West Africa.The fruit itself does not look weird, but it's the after effect after eating it. The berry itself has a low sugar content, but after eating it, sour foods will begin to taste sweet. For example, lemons will become sweet in the mouth. This is the result of a protein substance present in the berries called miraculin which causes the taste buds to taste sour foods as sweet. This effect will last for an hour or until the protein substance is drained away by the saliva. 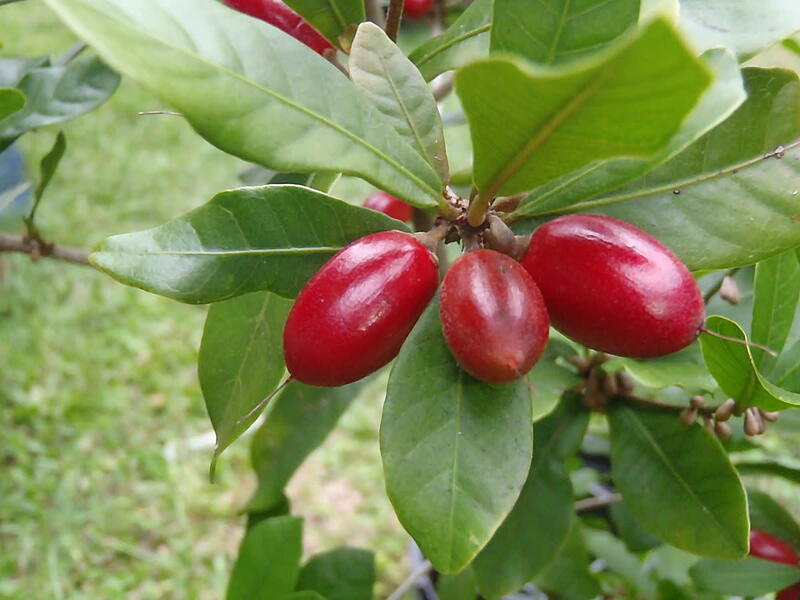 The miracle fruits are now cultivated in Ghana, Puerto Rico, Taiwan, and South Florida. This fruit has many names, such as horned melon, African horned cucumber, jelly melon, melano, and blowfish fruit. Its scientific name is cucumis metuliferus. It is considered as the earliest cultivated melon. When ripe, it has yellow-orange skin with green jelly-like flesh similar to the taste of a cucumber. 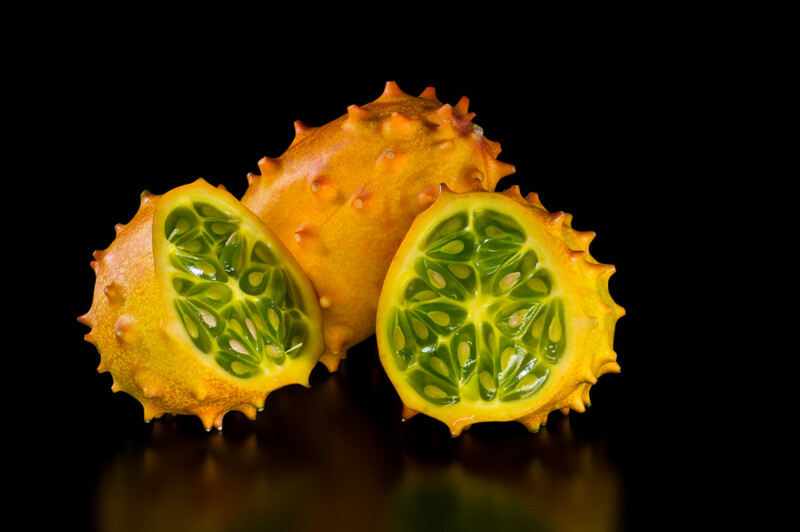 Because of its texture and shape, the kiwano melon is used as a popular decorative item for food. 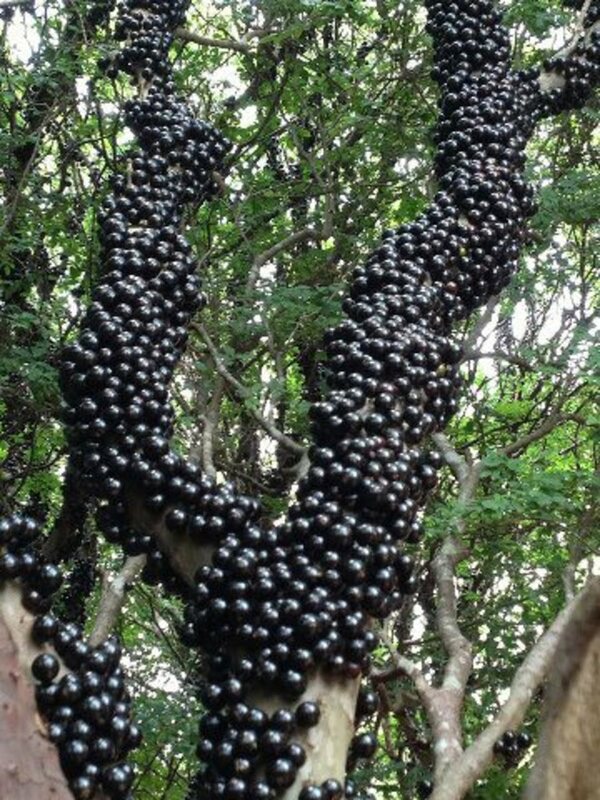 Jabuticaba fruits do not look weird as they look like grapes. The way the fruits grow is weird as they grow directly from the main trunks and branches of the tree. Another name for it is Brazilian grapes, as the fruits are natives to Brazil. The scientific name is “plinia cauliflora”.The fruit has purplish-black skin and flesh like ordinary grapes. It is quite big in size measuring 3-4 cm in diameter and has 1 to 4 seeds each. They are eaten fresh just like grapes. They can also be made into juice, jellies, jams, and even wine and liqueurs. 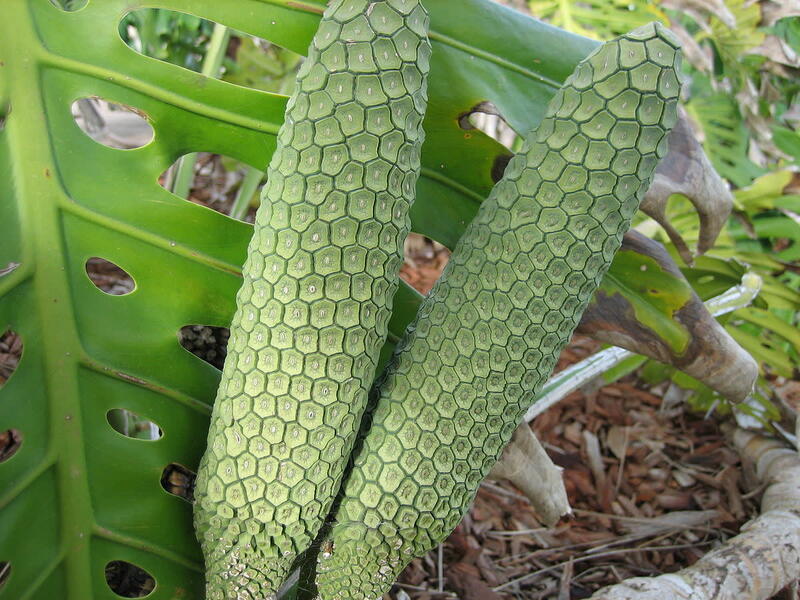 The monster fruit is from the plant “monstera deliciosa”. Common names are monsterio delicio, monstereo, Mexican breadfruit, banana pineapple, or simply the monster fruit. They are grown in Mexico. The monster fruit looks like an ear of corn (maize) covered with hexagonal scales. It is 25 cm long and 3-4 cm in diameter. The scales have to be removed to reach the flesh which is similar to pineapple in texture and taste. The fruit is from the palm tree called moriche palm or aguaje in Peruvian. Its scientific name is mauritia flexuosa. The fruit is chestnut-colored with shiny scales. The flesh is yellow in color, and has a high vitamin C content. The local Peruvians believe that the fruit has special qualities that can enhance the figure of the ladies. That’s why there are even aguaje capsules for beauty aids. 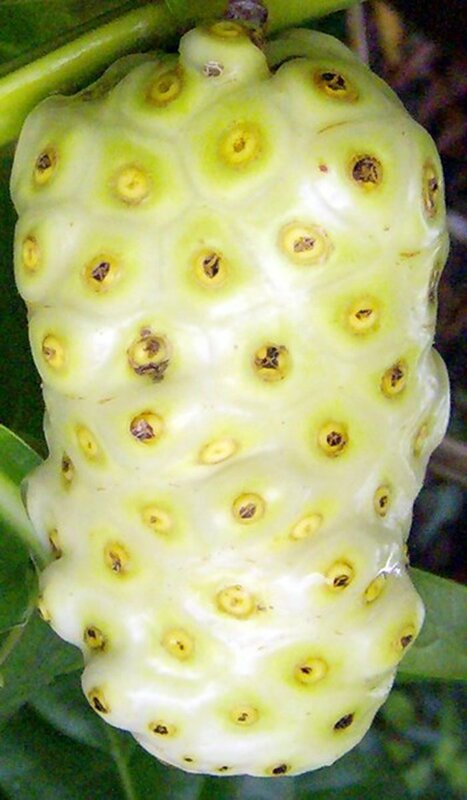 The pimpled noni fruit not only looks weird, but is also a super fruit. It has curative properties and is very commonly used by the locals of the land for curing many ailments. The noni fruit is found in southeast Asian countries, notably Indonesia and Malaysia. It is now highly commercialized with Hawaiian noni leading in popularity. I personally have benefited from this noni juice from Hawaii. I had bowel problem with constant visits to the toilet, and after taking the noni juice, my problem was solved. The fruits, leaves and roots are traditionally used by the locals to treat many ailments like menstrual cramps, bowel problems, diabetes, liver diseases and urinary tract infection. It has many names; Indian mulberry, mengkudu (Indonesia and Malaysia), apatot (Philippines) , beach mulberry and cheese fruit. The scientifiv name is morinda citrifolia. The fruit is irregular oval in shape, the size of a small potato. It has a foul smell when ripe. No wonder it is also called the “vomit fruit”. The fruit is usually cooked with savory foods. 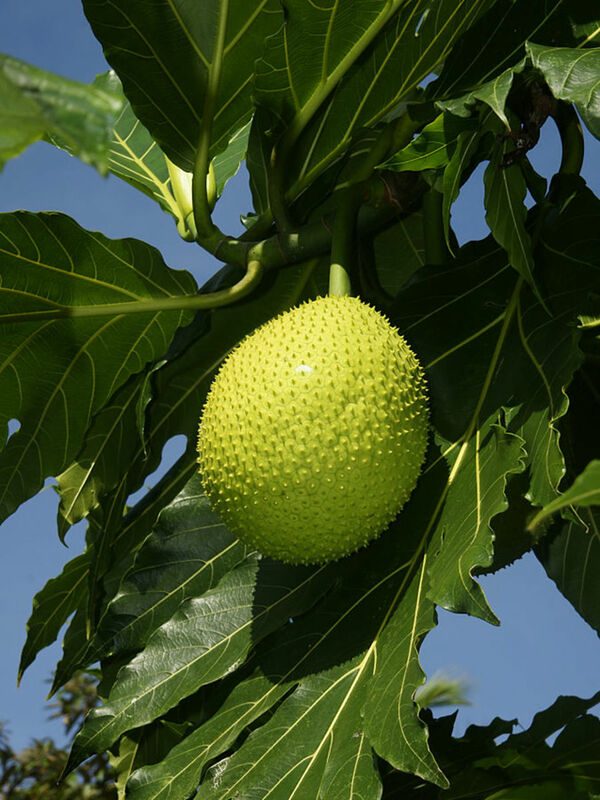 The breadfruit is found in Southeast Asia and most Pacific Ocean islands. 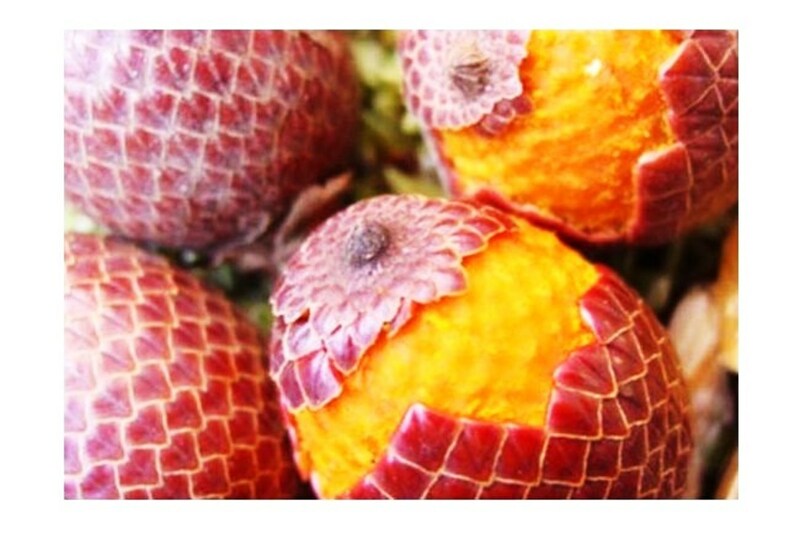 However, I have not personally seen this fruit in my country, Malaysia. When cooked, its texture and taste are like fresh-baked bread, hence its name. The scientific name is artocarpus altilis. 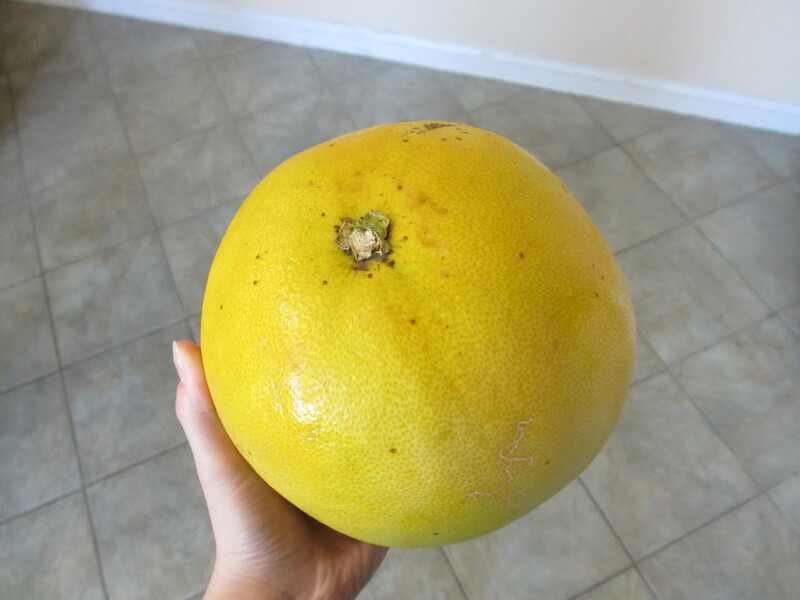 It is a very big fruit, the size of a soccer ball and is bright green in color. 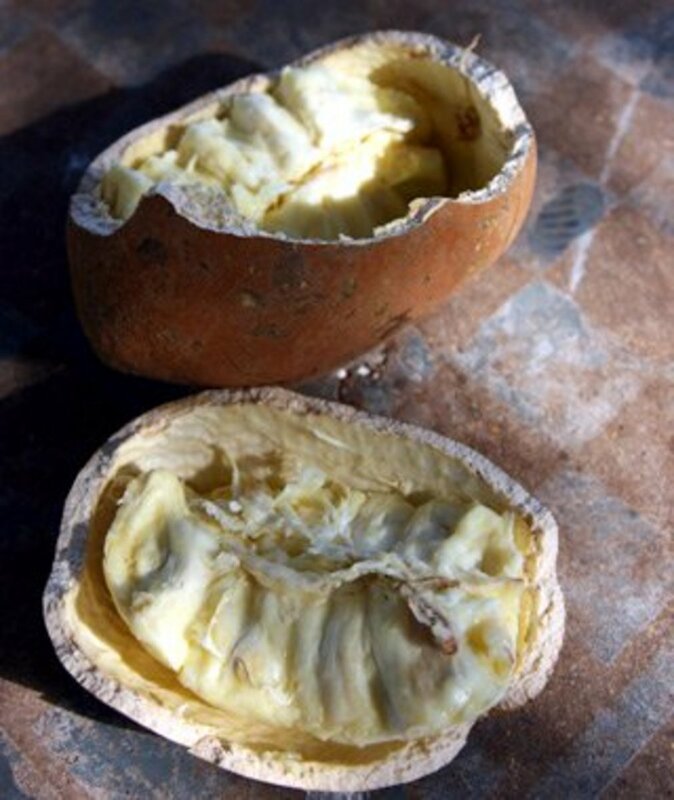 It is rich in starch and when it is very ripe, the breadfruit becomes sweet when the starch converts into sugar. The fruit looks like a very small tomato. But on the plant, the fruit is protected by a papery husk making it looks like a bougainvillea flower, qualifying it to be a weird-looking fruit. Once taken out from the husk, there is nothing weird about this tiny “tomato”. Because of its shape on the plant, it is also called the Chinese lantern. 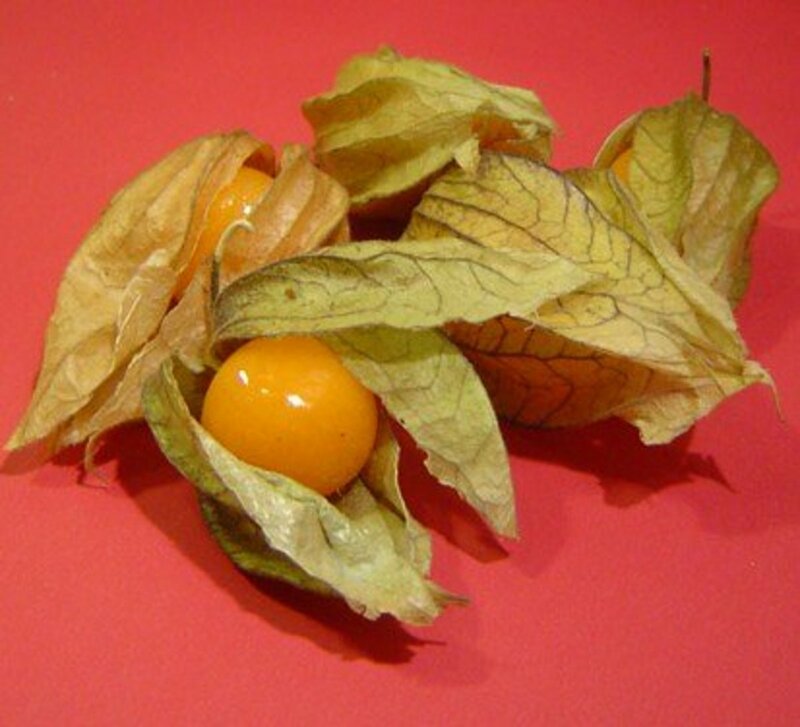 Other names are golden strawberry, Cape gooseberry and groundcherry. Its scientific name is physalis peruviana. Perhaps we can also called it the bougainvillea tomato! Physalis is eaten like a tomato. It can be used in salad and dessert, and can be made into jam and jelly. The akebi plants are found in China, Taiwan and Japan. However the fruits are more popular in Japan. In fact the name “akebi” is Japanese. The scientific name is Latinized as “akebia”. 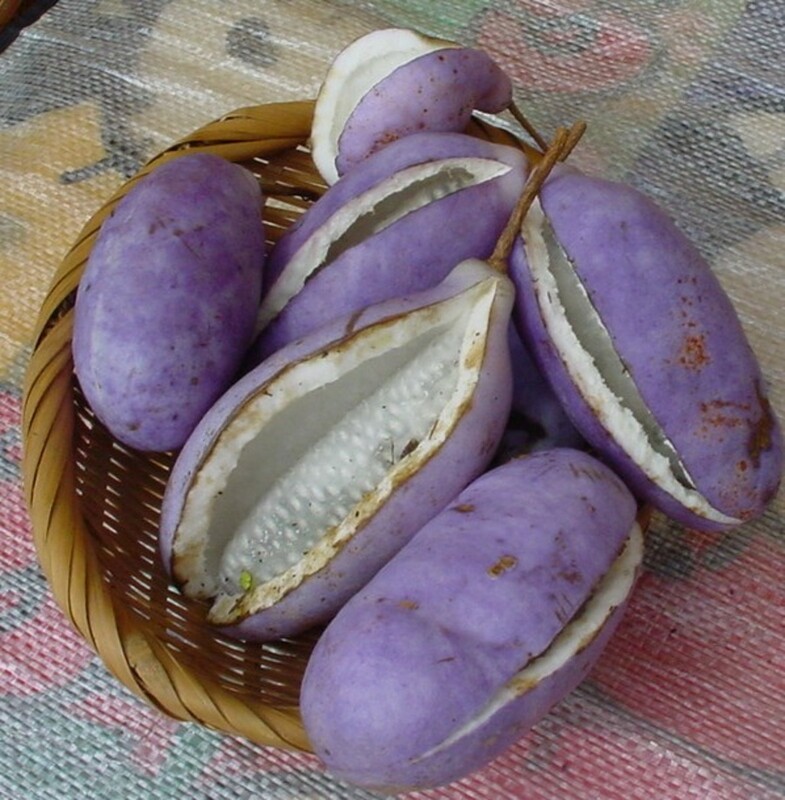 The fruit is about palm-size with a purple pod protecting the finger-like white flesh inside with lots of small edible black seeds. The akebi is now regarded as a specialty fruit in Japan and is used for cooking up specialty dishes. It is mildly sweet in taste. The dragon fruit looks like the fiery tail of a dragon, hence the name. It is from a cactus family “hylocereus”. Other names are pitaya or pitahaya. 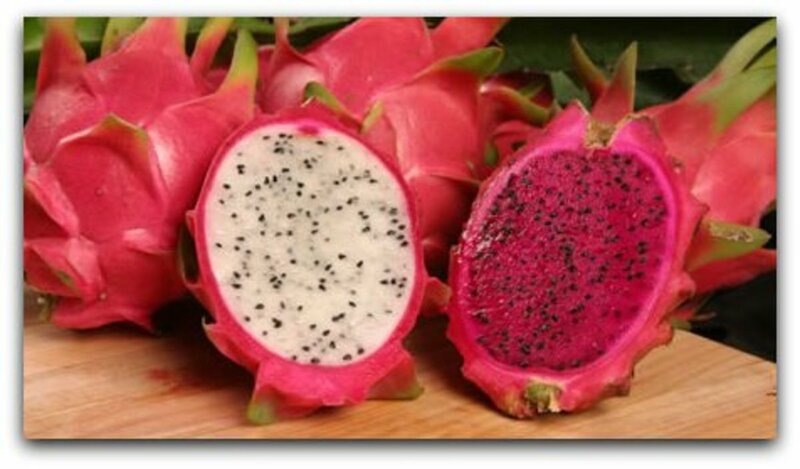 However, in Asian countries this fruit is similarly called “dragon” fruit in their respective languages. There are two main varieties, although the outside appearance is the same, but the pulp is different in color. The one with deep purplish pulp is sweeter than the lighter colored variety. 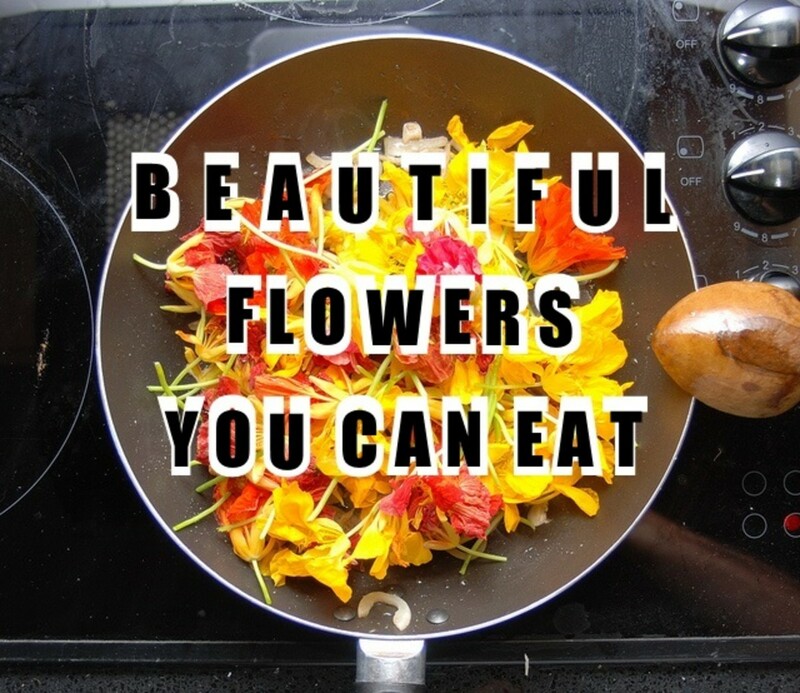 Both have countless edible seeds which enhance their delicious taste. The outer skin can be easily peeled off, especially when the fruit is cut into small pieces. The pulp is very juicy and sweet, especially the dark purplish variety. The custard apple looks like an off-green apple with blisters all over! That makes it look weird. Its scientific name is atemeoya. It is native to the Andes. Apparently Mark Twain commented that it is the “most delicious” fruit known to men. I have to disagree with him on this count. Perhaps Mr Twain had not the good fortune to taste other fruits that were far more delicious than this custard apple. Poor Mr Mark Twain! I am writing from personal experience and personal preference for all the fruits I have ever tasted. To me the best of all the fruits in the world is the one at the last of this article, and the weirdest of them all too. 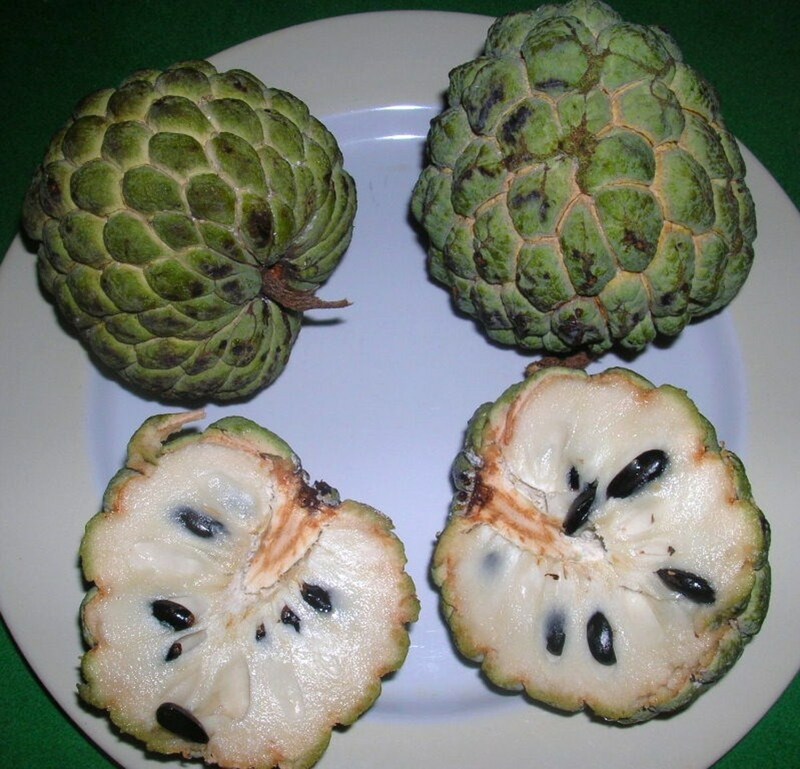 The custard apple has clumps of soft fleshy pulp encasing many inedible black seeds. The cupuacu is related to cacao or cocoa and is common in the Amazon basin. The fruit is brown in color, oblong-shaped about 20cm long and weighs 1 to 2 kg. The outer skin is thick and hard. The scientific name is theobroma grandiflorum. The flesh is whitish and soft. It has a unique fragrant taste of chocolate and pineapple. Cupuacu is packed with vitamins and rich nutrients which boost the immune system, lower cholesterol and rejuvenate the skin and hair conditions. 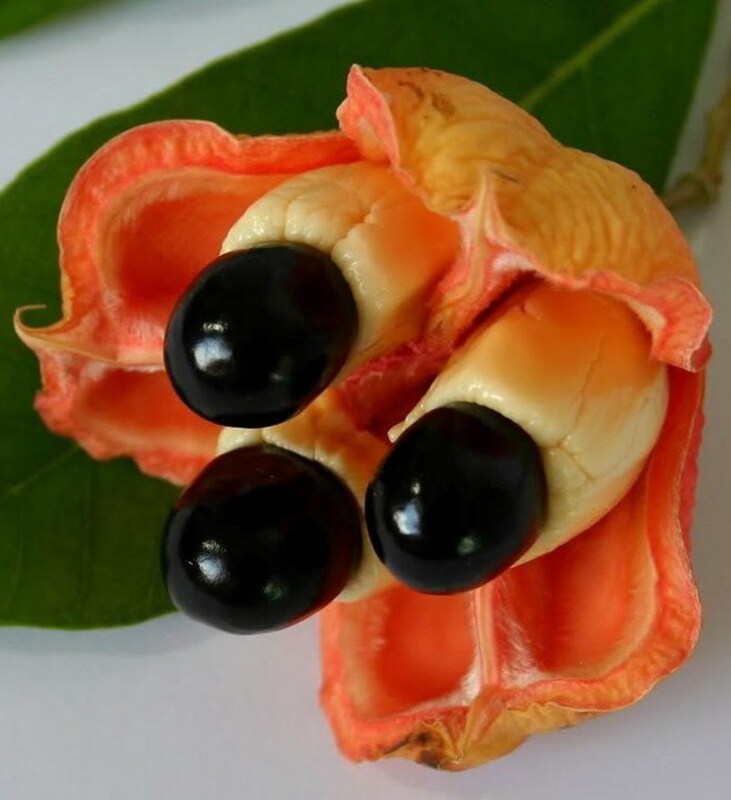 This fruit is a Jamaican delicacy and is used as a vegetable, especially in the popular Jamaican national dish, "ackee and salt fish". Two other names are achee and akee apple. It is related to the lychee and longan family. Its scientific name is blighia sapida. Once ripens, the pod burst open to reveal three large shiny black seeds which make it looks weird. The soft flesh is the only part that is edible. The unripened parts are highly toxic. 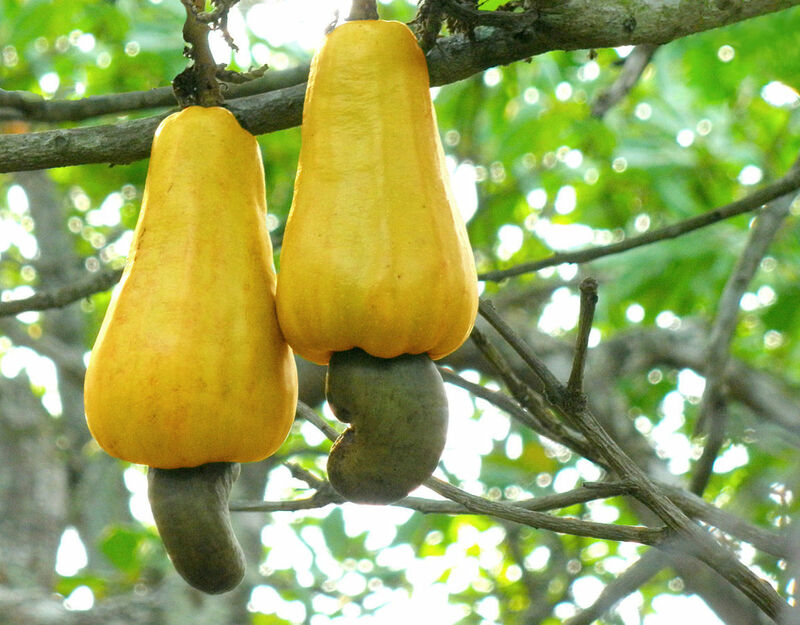 The scientific name is anacardium occidentale. It is native to Brazil, but has spread around the world to Asia, Southeast Asia and Africa. This fruit is real weird. It looks like the seed is exposed at the bottom of the fruit. Actually the part that appears to be the fruit is a "false fruit" called a hypocarpium, which is pear-shaped and red or yellow in color when ripe. The actual fruit with a seed inside is the crescent-shaped protrusion hanging at the base of the false fruit. 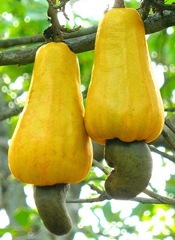 The commercial value of the cashew is in its seed, called cashew nut, which needs no further introduction. I think the weirdest of all fruits are found in my country, Malaysia. Below are the top three weirdest fruits of the world. 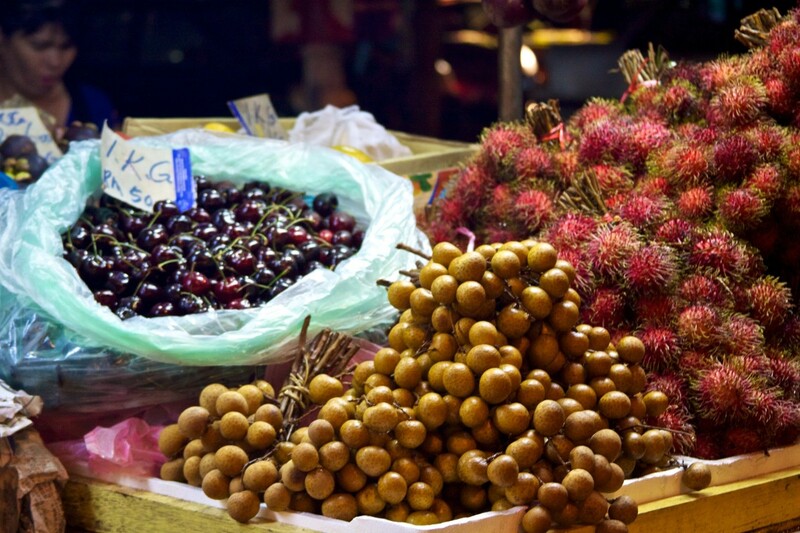 Rambutan is the local name in Malaysia and Indonesia. The root-word “rambut” in Malay or Indonesian means “hair”. 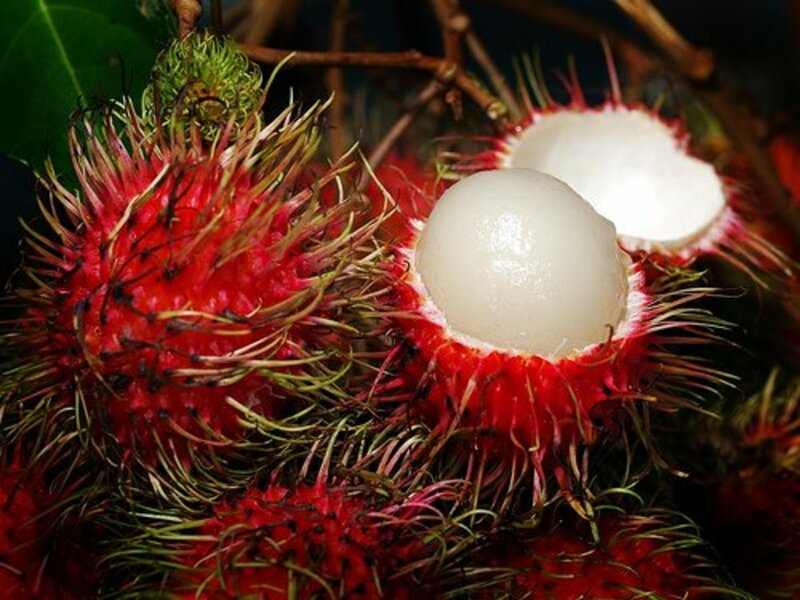 Hence the name for this hairy fruit is aptly called rambutan. Its scientific name is nephelium lappaceum, what a mouthful. Let’s just call it the rambutan, or hairy fruit. It is oval in shape, about 2 inches long and 1 ¼ inches at the center. There are two varieties, the yellow and the red. The yellow ones are not popular. The favoured variety is the red one, although when unripe it is also green in color, just like the yellow variety. When ripe, they turn into bright red. The fruit as expected is covered all over with numerous hairy protuberances, making it looking weird. The rambutan is a very sweet fruit. It is easy to break off the hairy skin, and the translucent flesh covers a big seed inside. The seed is inedible. There are lots of black ants around the fruits especially on the tree. And now, may I introduce the Queen of fruits. 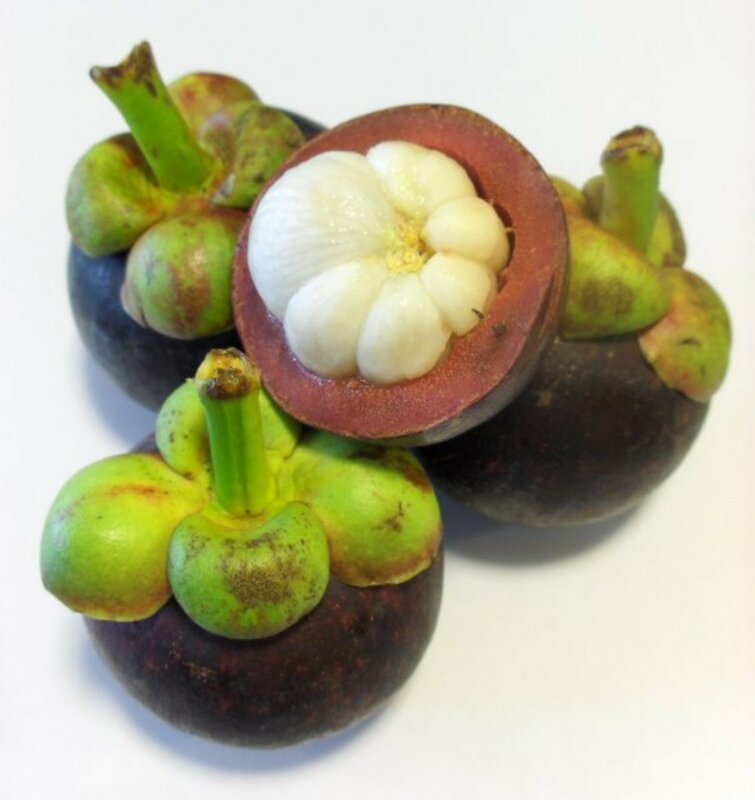 It is called the mangosteen, but definitely has nothing to do with mango. Its scientific name is garcinia mangostana. It is about the size of a tennis ball, dark purple in color. The weirdness is in its thick dark purple outer casing or rind. On top of the fruit are the remnants of the four “petals”, and at the bottom, the fruit has a most peculiar feature with a circular “flower” pattern, which are the remnants of the stigma. Interestingly, the number of petals shown in the “flower” pattern will indicate the number of the cloves, or aril sections of the flesh inside. The inside flesh is pure white in color and is divided into cloves or arils. Take a look at the picture to get a better perspective of the flesh of the mangosteen. The “flower” pattern will usually show 5 to 7 petals, corresponding to the number of arils inside the fruit. This fruit has a very thick rind or pericarp and the sap of the rind will leave a permanent stain on the dress if one is not careful when opening the fruit. Here is the climax of this article. The Mother of all weird fruits, The King of all the fruits in the whole world! The weirdest of all the fruits ever known to mankind, in terms of size, shape, content, texture and taste! The greatest of all fruits, and my number one favorite, second to none...The Mighty Durian. 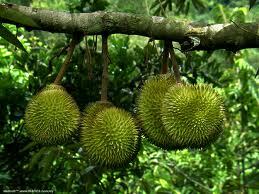 The name durian comes from the root word "duri" in Malay and Indonesian, meaning "thorns". The scientific name is Durio Zibethinus Linn. The durian is spiky all over and on average is about the size of a coconut. Its shape is irregular, having no fixed shape. Even its weight is not standard, weighing from 1/2 kg to 3 kg. 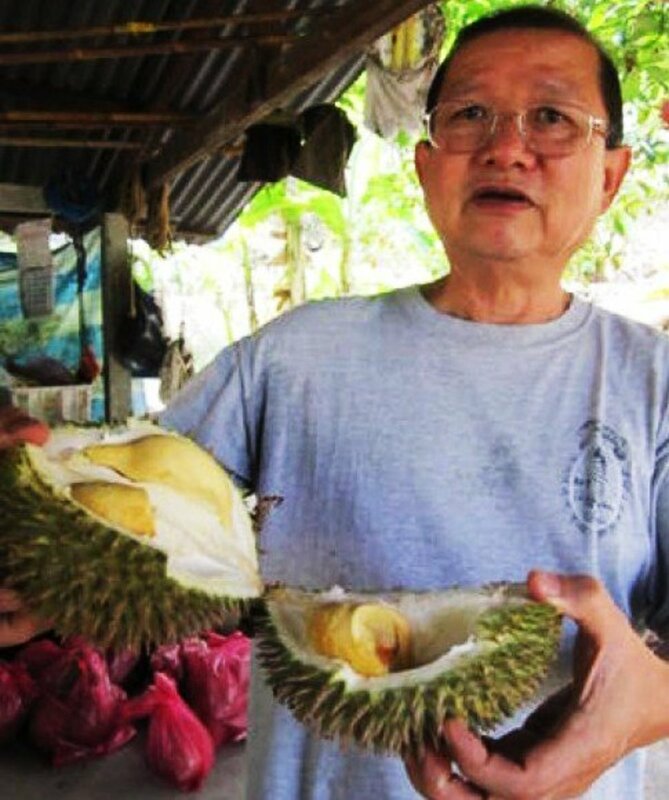 The durians indeed come in all shapes and sizes, and in texture and taste. The flesh is equally diverse and the taste varies from one durian to another. Everything about the durian is so unique and diverse; there is no such term as a typical standard durian. The color of its outer shell varies from green to light brown. The texture of the flesh also varies from dry and rough to smooth and moist.. And the color of the flesh is a spectrum from whitish and yellowish to reddish! The flesh is contained in sections as can be seen in the pictures on the right. Inside each fleshy part is a seed which is inedible. Once ripe, the fruit will drop by itself early in the morning before the sun rises. Durians are best eaten within the day itself, or the flesh has to be kept in the fridge under air-tight containers for later consumption. On a lighter note, this fruit is perfectly fit for use as an arsenal. It is just like a sharp thorny canonball which will explode with the most obnoxious stinking gas that will wipe out all the foreign invaders. And if the flesh is forced into their mouths, I think death would be in an instant! The disgusting smell will be more effective than any tear gas. As a torture instrument, the spikes will make any prisoner talk instantly, and the smell and flesh will ensure truth is spoken in no time! Such is the awesomeness of the King of all fruits and the weirdest of them all! On a more personal level, if you are a local like me, the durian smells like heaven and tastes like heaven! 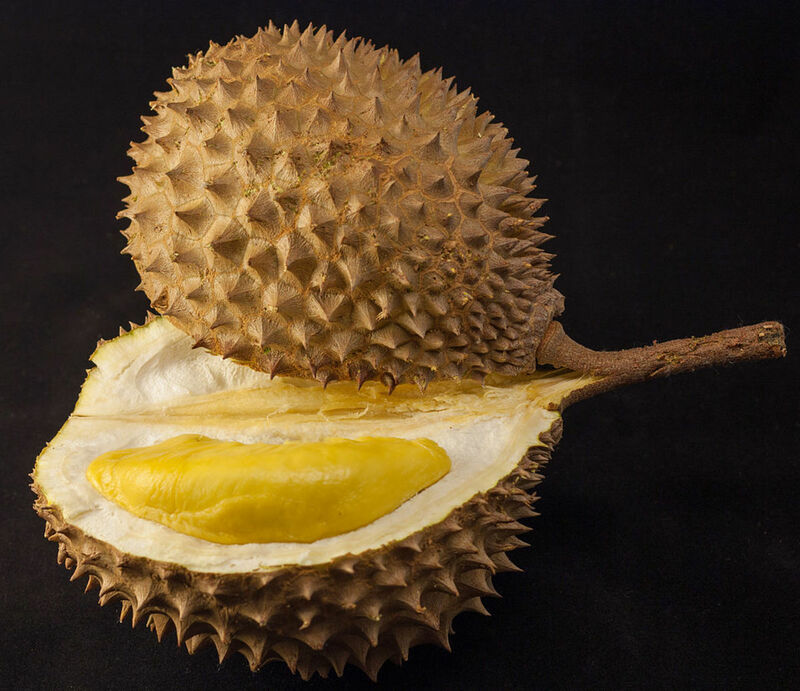 If you are alien to the durian, the first encounter will send you to hell, as it will smell like hell and taste like hell, short of using any rude four-lettered word. By the way, the best durians in the world are found in Penang, the paradise island where I am happily residing. For a first-timer, Bruce is fantastic! "A very beautiful work and in its educational view over time your work will be rewarded as it also helps the environment." Interesting hub with beautiful photos especially of cashews which is abundantly available in our small state Kerala.Thanks Good Guy for the detailed description of the fruits and sharing. It is a great collection of weird fruits Good guy. I love cashew nut fruit and custard apple. The durian is such an extreme fruit that one either craves for it or hates it. This also applies to locals as well, although only a few hates it, including my daughter. A very interesting array of fruits. My father use to grow cape gooseberries which were very nice to eat and I have tasted custard apple which I thought was lovely in the day. Most of these fruits are new to me. I am intrigued by your description of the durian and wonder how it can go from tasting like hell to delicious. Obviously one of those foods that you develop a taste for. Great hub. Thanks for being my first visitor, and all the encouragement given me! Hope one day you can have the chance to taste the King of fruits, the durian!! Loved seeing all the photos of these different fruits. We are all so basic here with berries, melons etc. I would love to try all of them Great job on this hub. Voting up+++ and Pinning, tweeting etc.